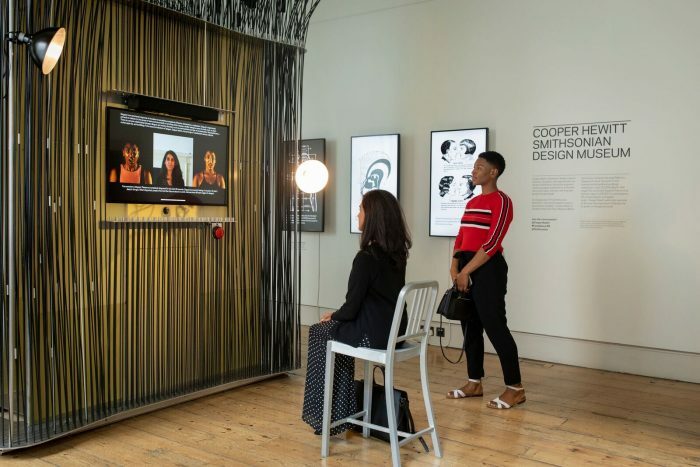 Judged the most inspiring interpretation of the 2018 Biennale theme, Cooper Hewitt’s immersive installation Face Values was awarded the London Design Biennale 2018 Emotional States Medal. 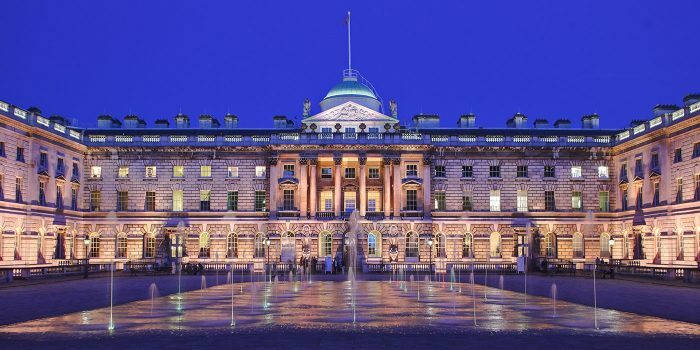 Somerset House in London, site of the 2018 London Biannale. 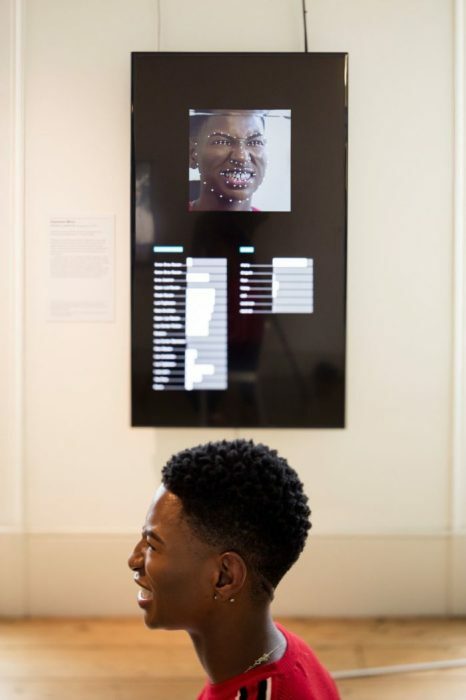 Once again representing the United States at the Biennale, Cooper Hewitt’s high-tech, provocative response investigates the human face as a living data source used by governments and businesses to track, measure, and monetize emotions. Using their own faces to control cameras and software, viewers experience the power and limitations of emotion recognition technologies through playful interactions that encourage awareness of these often hidden tools. Face Values speaks to the growing fascination around facial detection technology, particularly in the U.S., where major companies continue to experiment and push boundaries with this controversial software. The installation is curated by Ellen Lupton, senior curator of contemporary design, and features original work by designers R. Luke DuBois and Zachary Lieberman displayed within a digital environment designed by Matter Architecture Practice. A visual essay by designer and historian Jessica Helfand explores how past and present scientists, criminologists, and beauty experts have tried to quantify the human face. 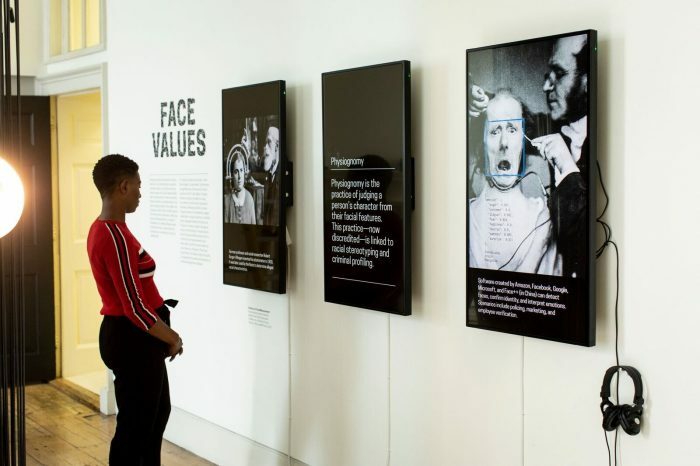 Installation view of “Face Values,” organized by Cooper Hewitt, Smithsonian Design Museum for the 2018 London Design Biennale. Photo David Levene. 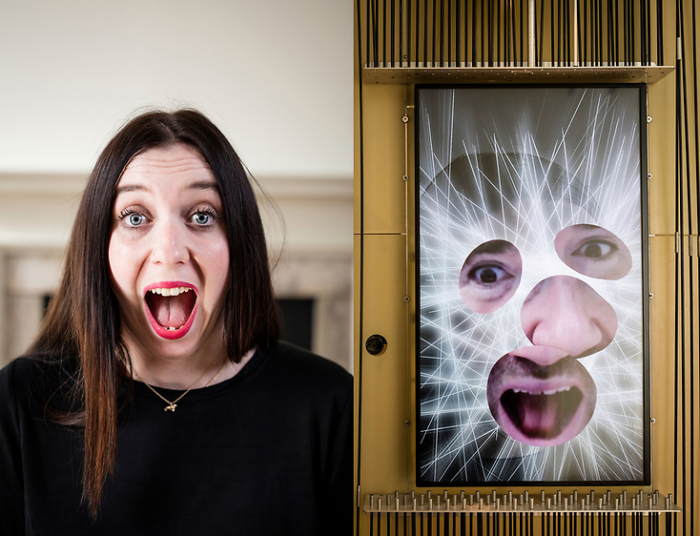 A visitor interacts with Zachary Lieberman’s Expression Mirror in Cooper Hewitt’s “Face Values” installation at the 2018 London Design Biennale. Photo David Levene. 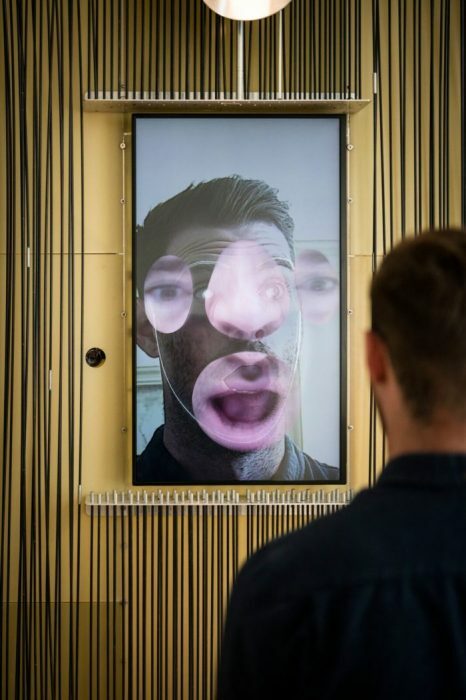 A visitor interacts with R. Luke DuBois’ Expression Portrait in Cooper Hewitt’s “Face Values” installation at the 2018 London Design Biennale. Photo David Levene. 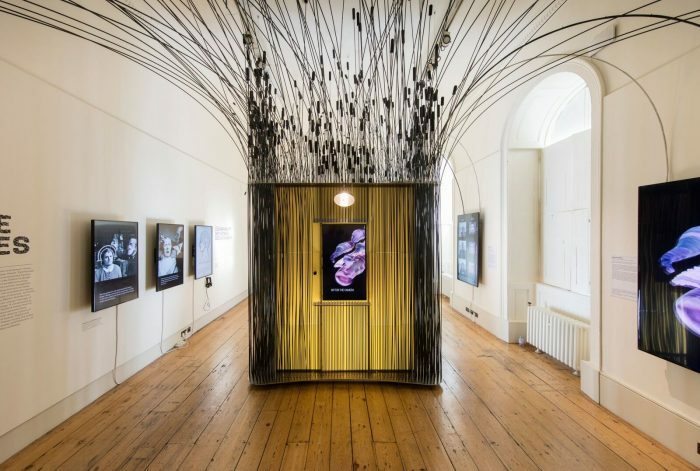 Cooper Hewitt, Smithsonian Design Museum is representing the United States for the second time at London Design Biennale, which is on view through September 23 in the heart of London at Somerset House, a center for the arts and culture. Forty countries, cities, and territories across six continents present new installations and commissioned works in response to the Biennale theme of “emotional states,” chosen to provoke a broad interpretation across design disciplines and spur investigation of the important relationship between design, emotions, and social needs.